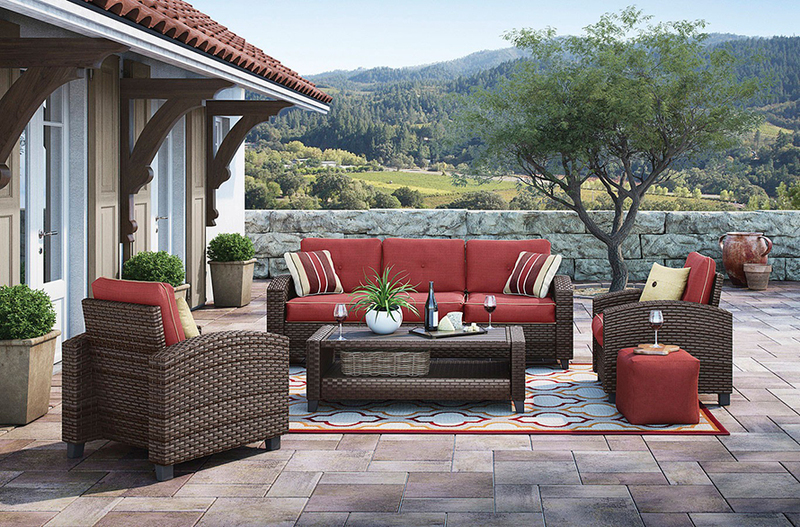 Have you started creating your patio yet? Hold on! Don’t try to do it without reading FurniturePick’s key rules! Get it right from the very first try. After reading our rules, make a draft plan on paper to see whether your ideas and our tips fit the available space. But first, make sure you follow the essentials. Would you like it to look formal or casual? From this question, we shall start! If you want it to be formal – symmetry is the key. On the contrary, creative and asymmetrical layout will make it more relaxed. 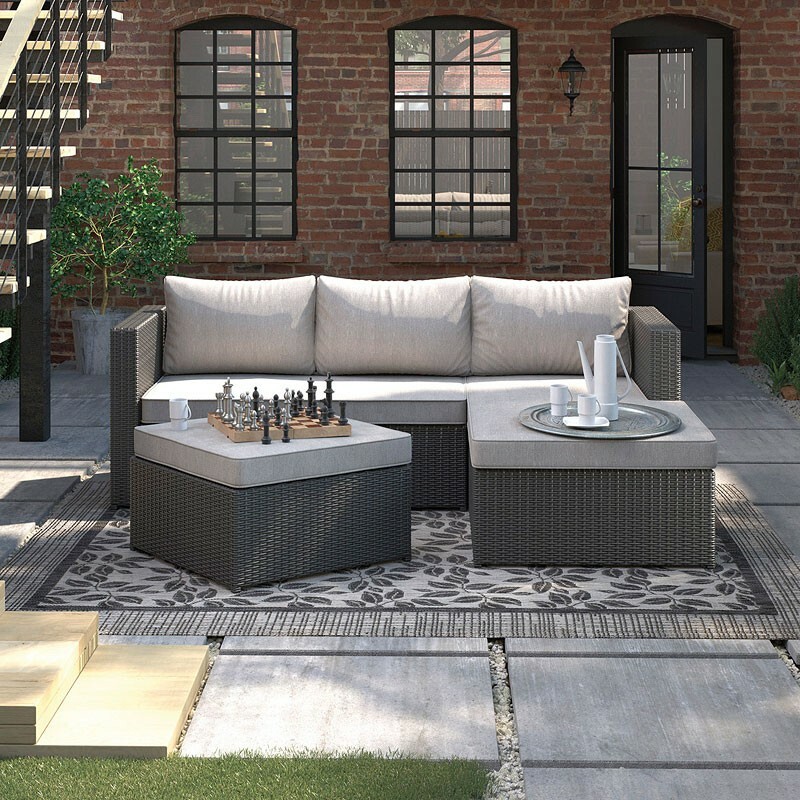 Choose the centre for your outdoor furniture arrangement. 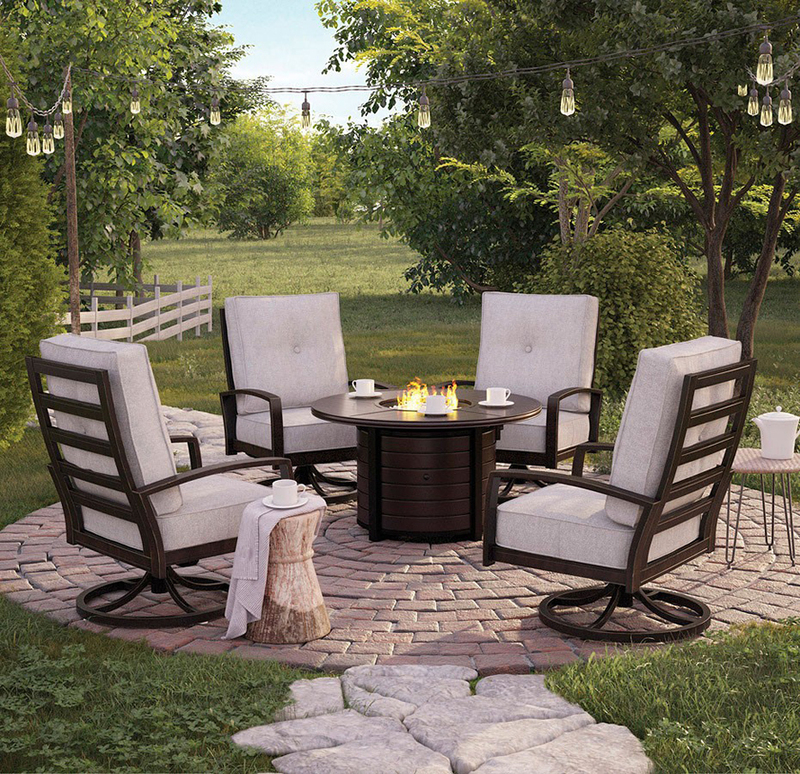 For instance, an outdoor seating set with a fire pit table in the middle automatically becomes the centre of the Universe and your patio arrangement! All the other pieces will be built from this focal point and around it. When you have decided on the focal point, set few furniture pieces around it on paper and, finally, ‘play’ a little with the placement. 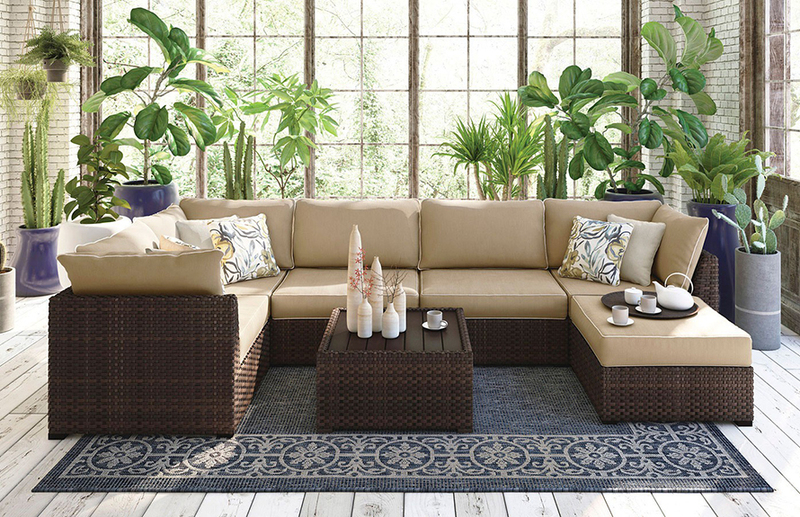 Take advantage of the outdoor sectional or the outdoor sofa, or even patio loveseat, and locate it along the ‘longest line’ you have around, whether it’s the external wall of the house or the length-line of the pool. 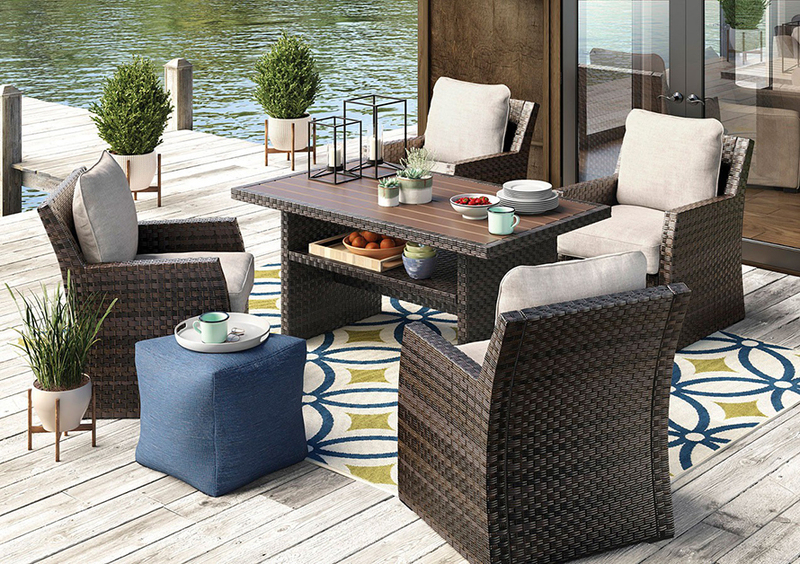 Take into account that this focal point, with all the other seating or outdoor dining furniture items around it, has to be off the “main traffic” (doors and passways). And there should be enough space for homies and guests to be floating around it, not through it. Don’t be afraid to overwhelm it and make it look like an extra room – make it cozy! 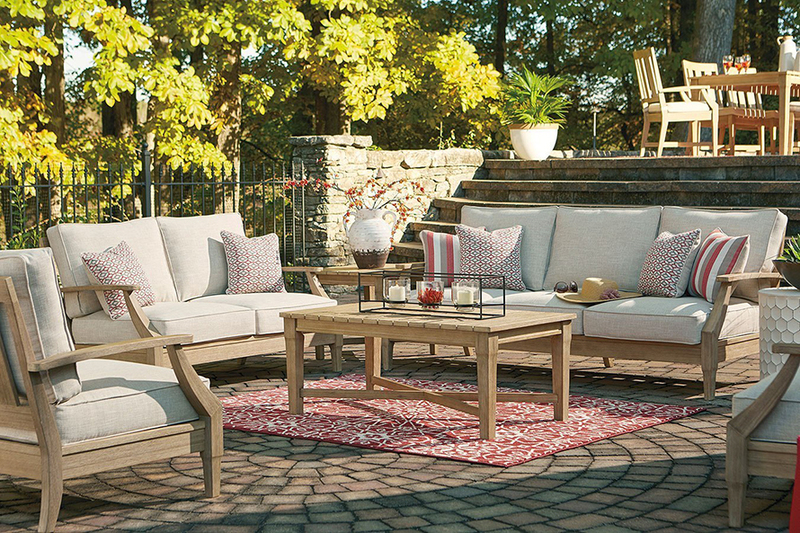 Use end tables, occasional furniture and ottomans for the best of your patio. 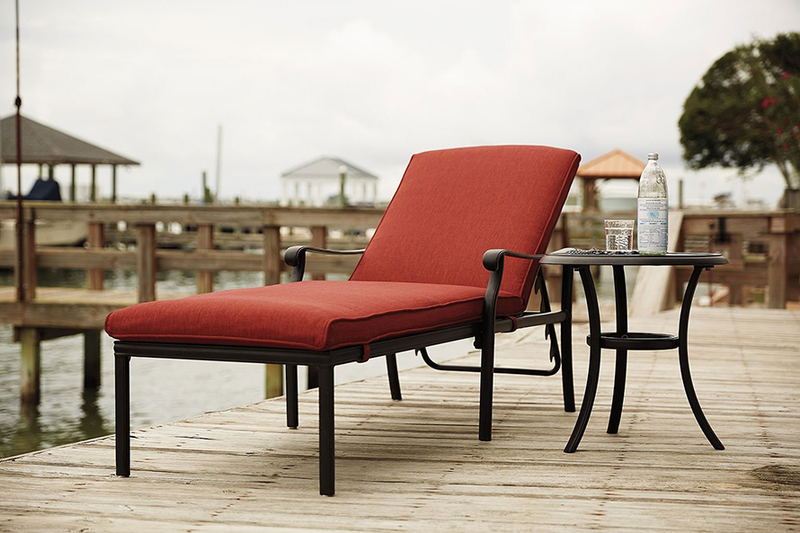 Oceanside outdoor sets must have the chaises for the best suntan! And make it easy for enjoyment! 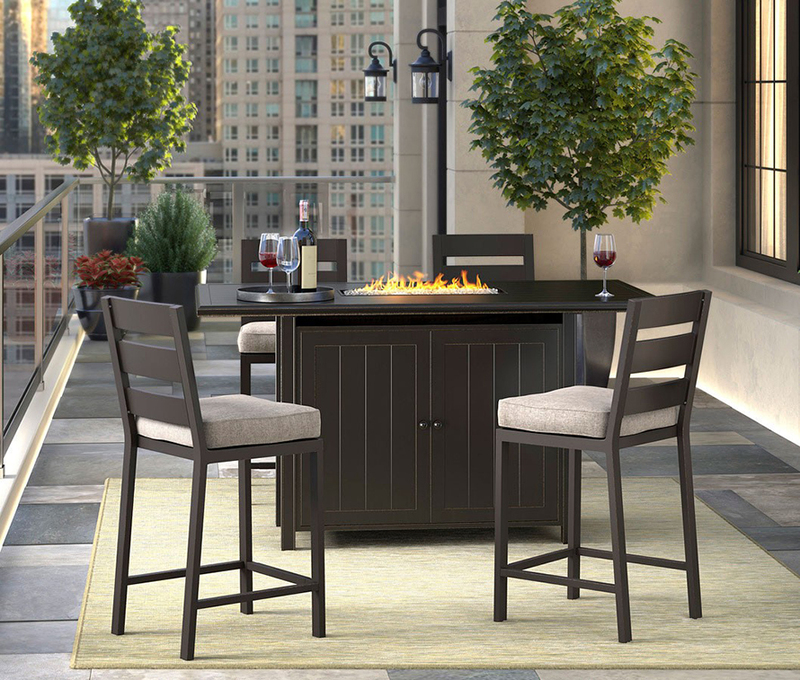 Use bar carts for easy access to drinks and snacks, ice bucket and napkins. Think about locating outdoor kitchen closer to the door, but keep in mind safety tips as well. If any questions or further assistance needed – you are welcome to share it in comments! 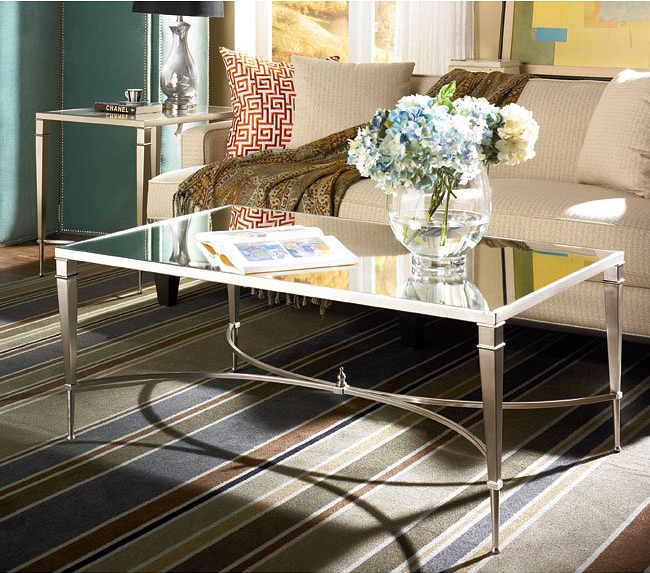 Interested in more furniture arrangement tips and tricks, news and inspirations – follow us and check our weekly posts!